Jim has over 17 years of experience in the IT field and has been involved in the design of websites for all types of businesses. The company has grown and changed throughout its history, but one thing remains, Jim's passion and commitment to the industry. He proudly leads the company's long-term growth strategy and dynamic positioning in the industry. 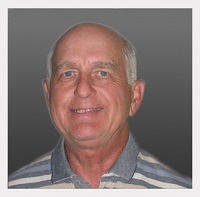 Jim began his energetic career as an IT specialist for a large hospitality company. Through hard work, passion, and dedication, he was promoted several times during his career. 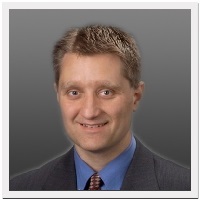 Prior to FACE Websites, LLC, Jim was the Director of Technology for a large health care organization. Jim holds a BA in Marketing from the University Northern Iowa – Cedar Falls, IA. He spends his free time with his children, sports, dining out, music, reading and movies. Jim has worked for over 25 years managing a wide-range of technology systems at two large health care facilities in Madison, Wisconsin. He was also an instructor at Madison Area Technical College for over 14 years teaching computer software including web development, database, spreadsheet, word processing and desktop publishing. He graduated from Kansas Neuman University in Wichita Kansas and holds a master's degree from Marquette University. Jim spends most of his free time reconstructing an old country farm house and enjoys ballroom dancing with his partner. Chris is our Design and Support Specialist and has brought many unique skills to FACE Websites. In addition, to having seven years of customer service experience, he also has a plethora of design and computer skills. He currently holds two degrees from NICC, an AA in Management Information Systems and an AAS as a Computer Analyst. He also has a BBA with a Marketing concentration from the University of Dubuque. 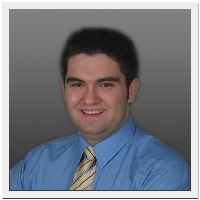 Chris worked with Adobe Creative Suite products for the past seven years and is proficient in HTML code. Chris has a sharp eye for design, a passion for customer service, and is very motivated to help FACE Websites grow. In addition, he has an exceptional work ethic and a great sense of humor. When he is not at work he enjoys spending time with his family and friends. He also is an avid automobile enthusiast and an advanced amateur photographer.